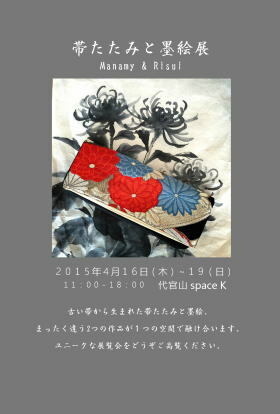 The first collaboration of my Sumi-e and “Obi-tatami" of product designer Manamy. What kind of world would be created by two artists in a single place? Please come and see this unique exhibition!